Dying to get a foot massage? Looking to relieve those pressure points? Then make sure you make an appointment with Orchid Foot spa in Egmore. 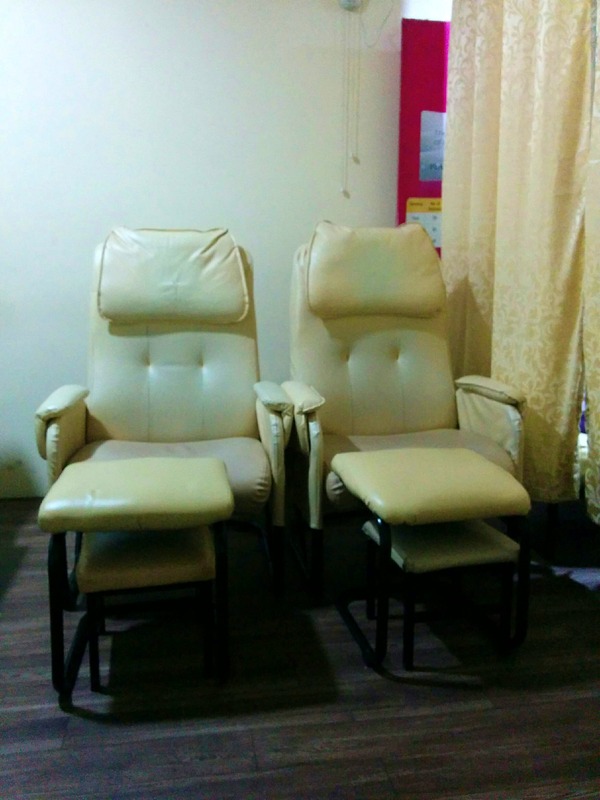 Tucked in the left corner of Alsa Mall’s first floor, this foot spa is among the first places in Chennai to offer foot reflexology (nearly 12 years old). That’s right people! And even more cool is the fact that this initiative has been started by a Bangkok-trained foot reflexologist herself. Having learnt the traditional Thai art of massaging more than 15 years ago, Habiba Mohsin decided to bring this much-needed service to Chennai, and we’re so glad she did. From foot only massages that start from INR 650 to combos that include head, neck, shoulder and back, Orchid Foot Spa has all kinds of body relieving packages in place. You can choose to go either for a 30 minute, 45 minute or an hour’s massage, all of which are carried out by certified masseuses personally trained by Mohsin. But if you’re really looking to go into total nirvana, you must try out their ‘four hands massage’ that involves two masseuses and starts from INR 1500. In this, you can choose to go for a head to toe combo or a back to foot combo. With all the massages involving traditional Thai step-by-step procedures, Orchid Foot Spa guarantees that you would leave the place much more relaxed than you had imagined. That’s not it. Orchid Foot Spa also offers beauty services such as facial spa, manicure, pedicure, clean-ups and more. You can also choose to go for their membership packages that include additional discounts and complimentary massages. Give it a try and let us know how you liked it in the comments below.